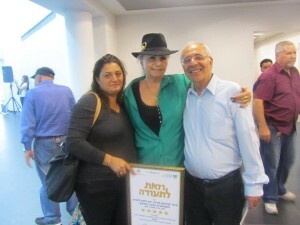 Beith Yakinton the day center for disabled elderly operated by CLICK won for the fifth year in a row the “beautiful country Israel Prize” in 2017 competition that focused on the following criteria: esthetics; community garden; accessibility; safety; welfare services; quality of life; environment and sustainability. CLICK commends the Beith Yakinton staff under the management of Yoram Dovrat for their amazing professionalism and hard work! 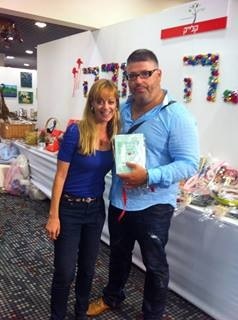 At the Bank Hapoalim exhibition for nonprofits at the Shfaim Congress Center Shari Arison bought Savi’s new cook book – a collection of Grandmas recipes. Shari Arison is a businesswoman and philanthropist, so she knows what she is buying!! Shari is Israeli-American Arison’s owner and has a controlling interest in Bank Hapoalim. 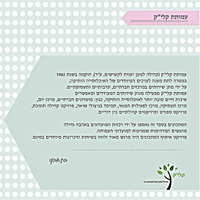 CLICK’S cook book summarizes a wide variety of recipes from the Grandmothers who visit CLICK’s various clubs. Click Here to view the recipe book.